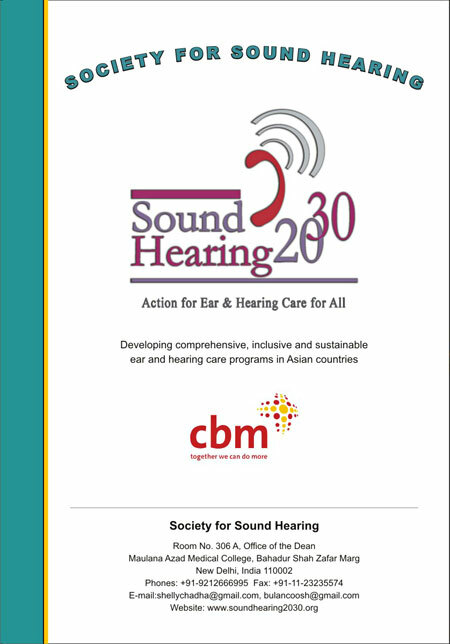 The front page is dominated by a logo of the Society for Sound Hearing logo alongwith its tagline: Action for Ear and Hearing Care for all. 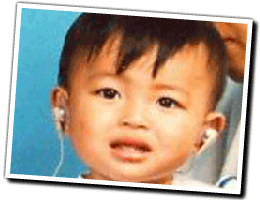 It also states the overarching aim of the society which is to 'Develop Comprehensive, inclusive and sustainable ear & hearing care programs in Asian countries'. The page carries the logo of CBM and indicates the Society is supported by CBM.